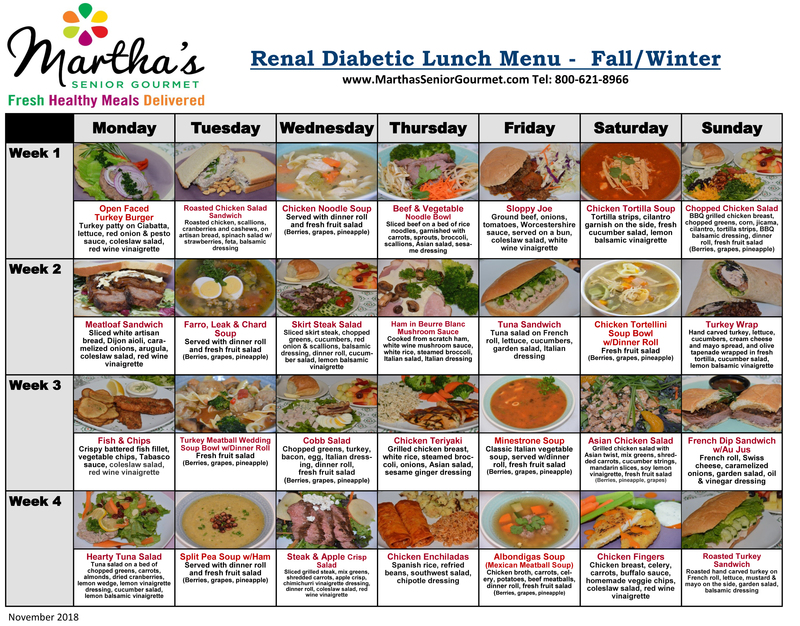 View our Renal-Diabetic lunch and dinner menus! 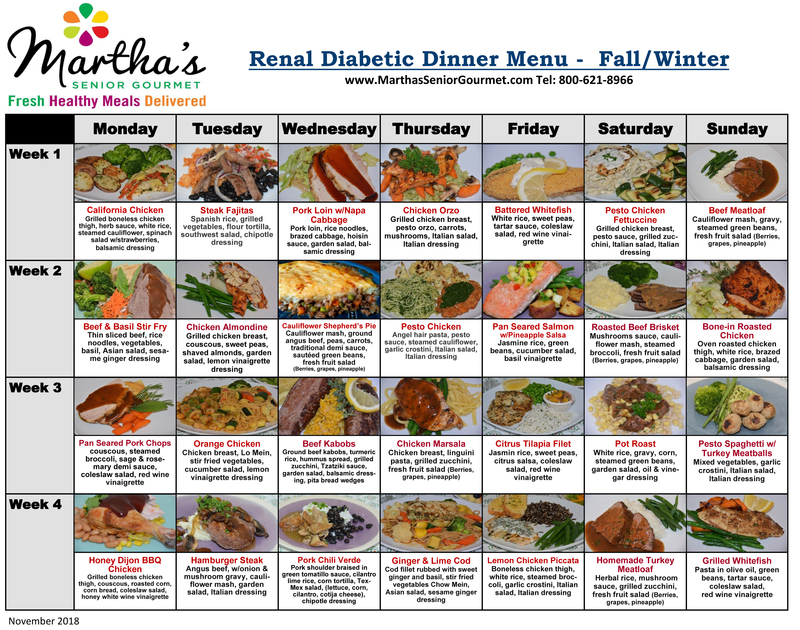 Our healthy meal delivery service accommodates diets of all kinds and takes the guesswork out of cooking and preparing meals: it’s renal - diabetic meals delivered! Are you ready to place your order for gourmet meal delivery? Complete the process online OR let one of our friendly staff members assist you over the phone!